Geotechnical Engineer. 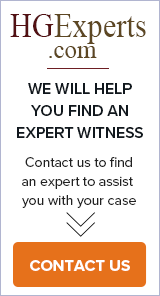 Have provided expert witness services on several projects in the upper Midwest. Professional engineer licenses in the states of MN, IA, ND, SD, & NE. Will provide references of attorneys or others as needed.